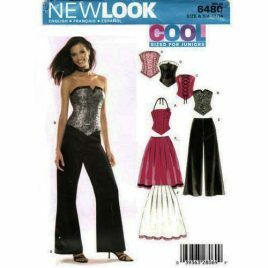 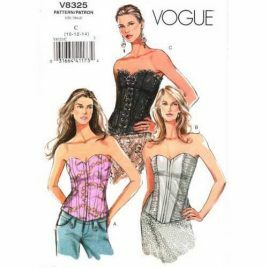 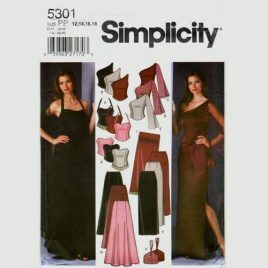 New Look 6092 Corset top and skirt pattern in sizes 3/4 - 13/14. 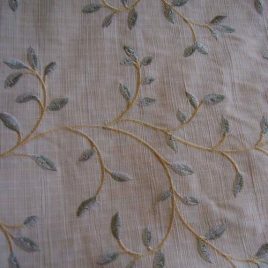 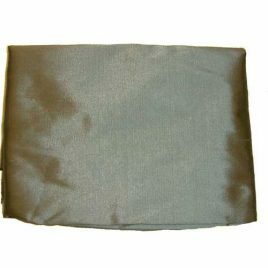 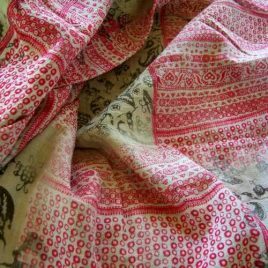 Embroidered green leaves on linen look polyester home dec fabric 1-1/2 yards x 56" wide. 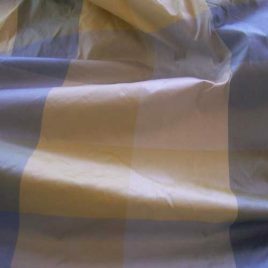 Shades of blue and yellow plaid dupioni silk fabric - 3 yards by 54" wide. 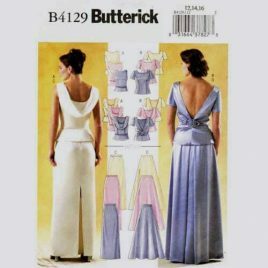 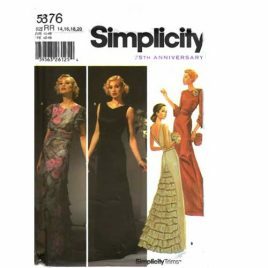 Style 2358 evening gown dress pattern with strappy back and small train in sizes 6-16.